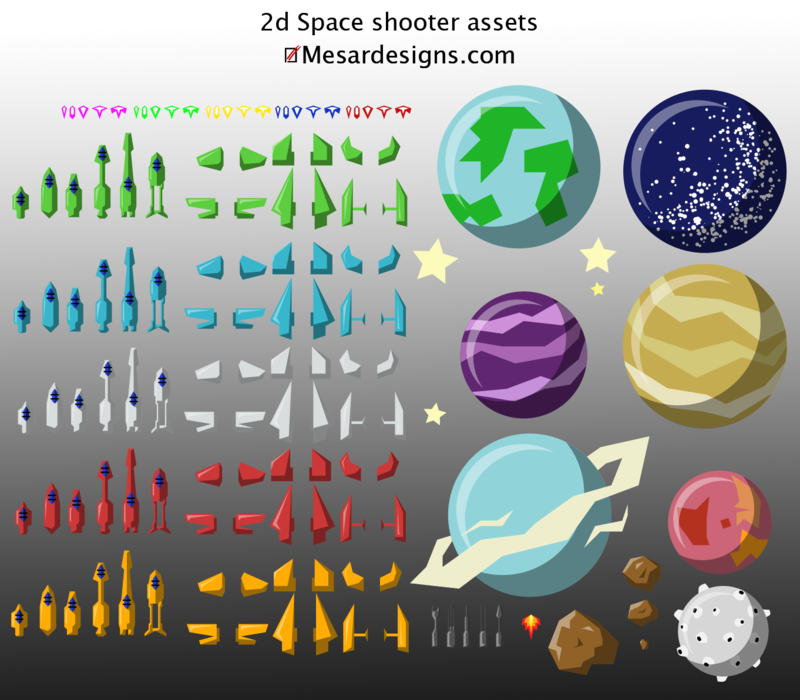 A start to some 2d space shooter assets. So far no enemies or space stations but I plan to add some more to this as time permits. 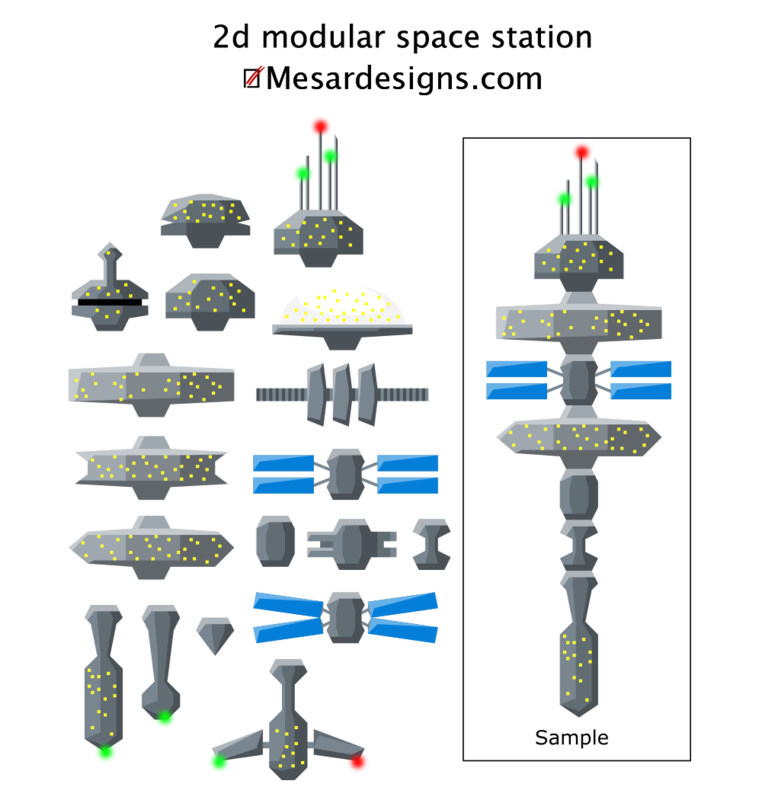 All the wings and ships are full interchangeable, a variety of bullets in different colours, and a few different weapons should give quite a variety. Oh that is a little jet exhaust trail next to the weapons if you want it to be. Critique and comments wish list welcome, if you do use any let know so I can have a look. 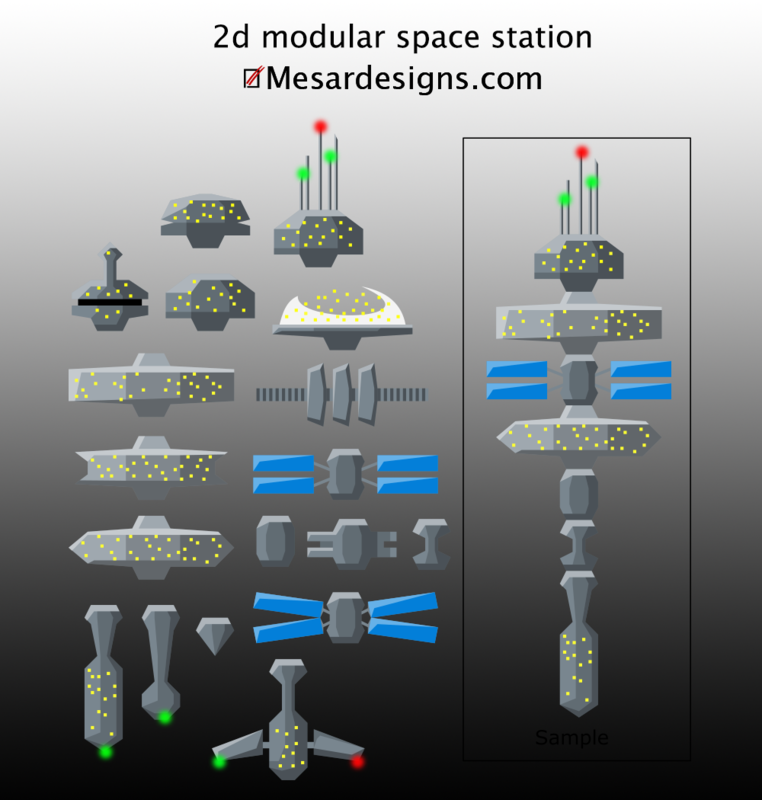 Updated with a modular space station. i will incorporate these in my commerical game (should be ready for release by end of March). Really nice graphics! 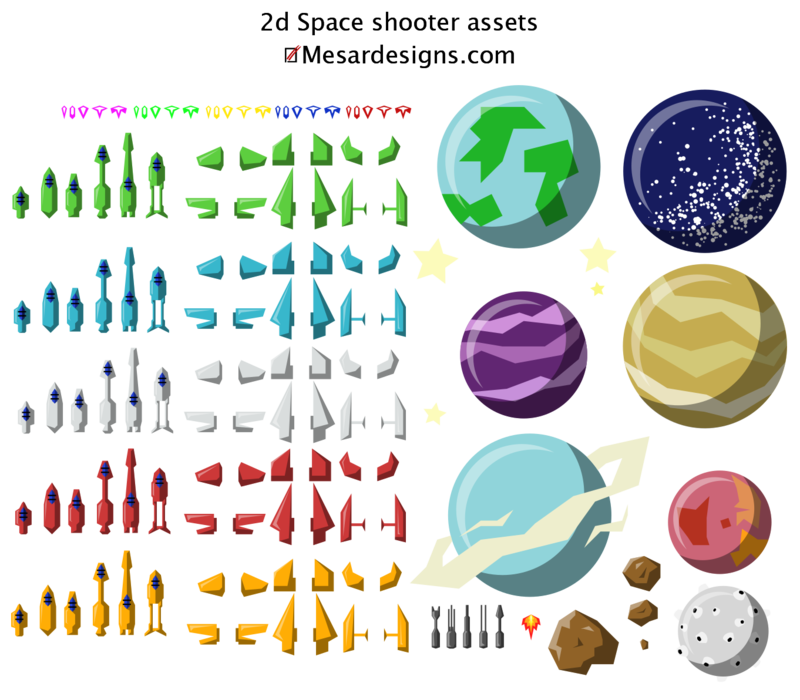 Almost inspires me to do something in the same style to add to it, or to make a space shooter. My favorite thing about the style is hard for me to pick out, but I'd probably say the shine on the graphics. Something about it looks really nice to me. It's a nice yet subtle touch that makes your graphics look so much more polished! This art is incredible! I love the style so much. I am new here though, so I have a question. How do I actually download the images? When I click on the 'files' link, it takes me to the picture of all the images in one. How can I access each awesome image individually? Thanks so much. 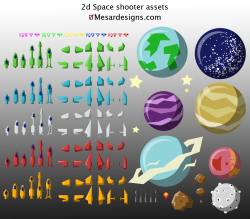 Thank you, I just do sheets of assets. It is up to you what you do with them. An example is to get the .pgn with the transparent background use an image editing program (gimp, photoshop or the like)just select what you want, cut and paste to a new image and use to your hearts content. 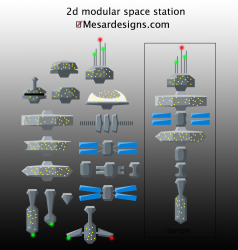 Updated with another sheet of a modular space station. Thanks for the assets mate. Gave you credit for your asset in my game, which will be on the iOS and Android market soon! I'll post when it is live so you can check it out.